One day, years ago, I had an idea for a dish. 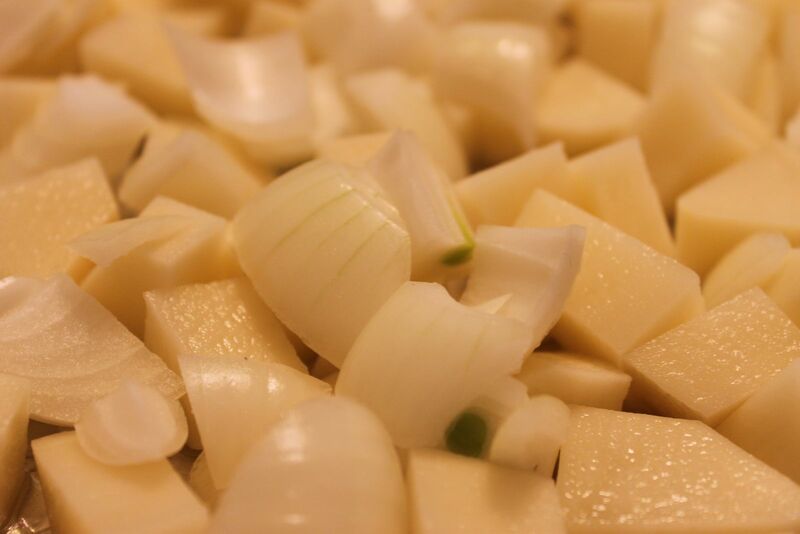 Before that day, my husband and I had enjoyed this dish simply prepared with potatoes and onions baked in the oven. 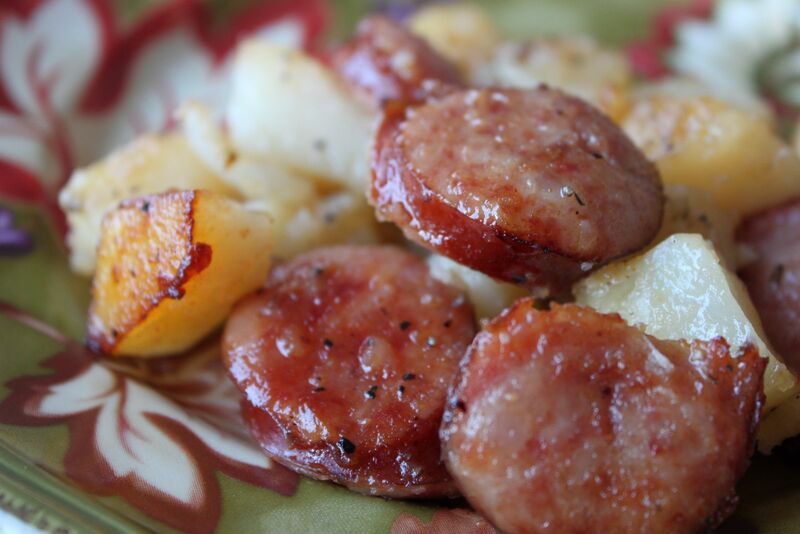 I came up with the brilliant idea of adding a sausage to it, turning a side dish into a meal.﻿ Eric seemed hesitant as he can be sometimes when faced with my epiphanies, but I forged ahead and made this dish. He's never regretted it. One evening, my father-in-law visited and I prepared this dish for our dinner. He's never stopped raving about it! 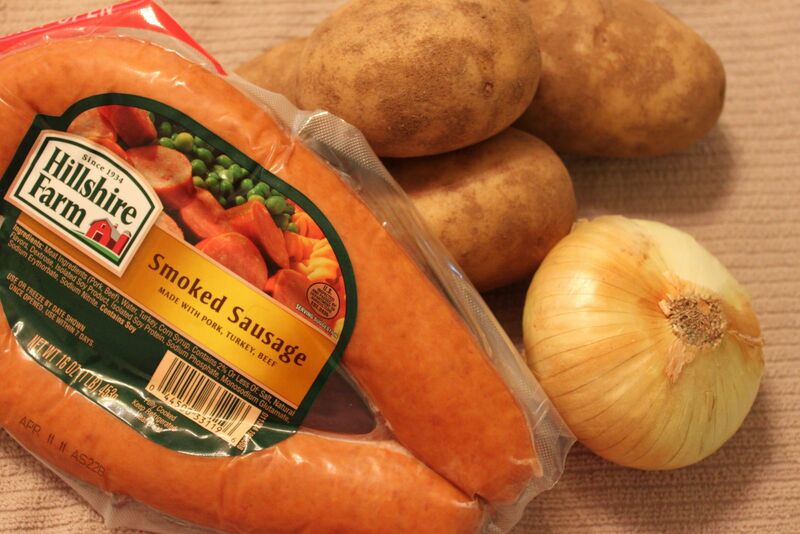 I just keep telling him, "It's easy really - sausage, potatoes, and onions." But still, he remembers. So, I humbly present to you this simple supper. Combine the sausage, potatoes, and onions in a lined and greased 9"x13" baking dish. 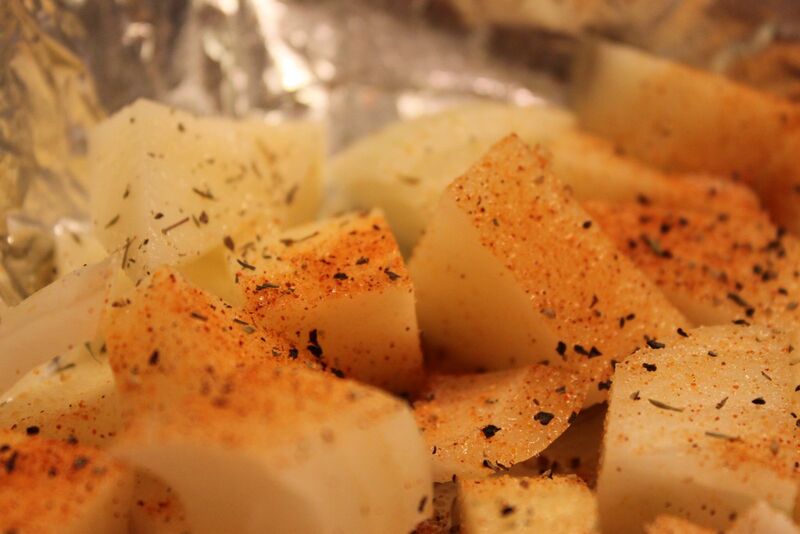 Sprinkle with your favorite seasonings and drizzle with a little olive oil. Bake at 350 degrees until potatoes are done, about one hour, stirring every 10 minutes or so to keep potatoes from sticking. 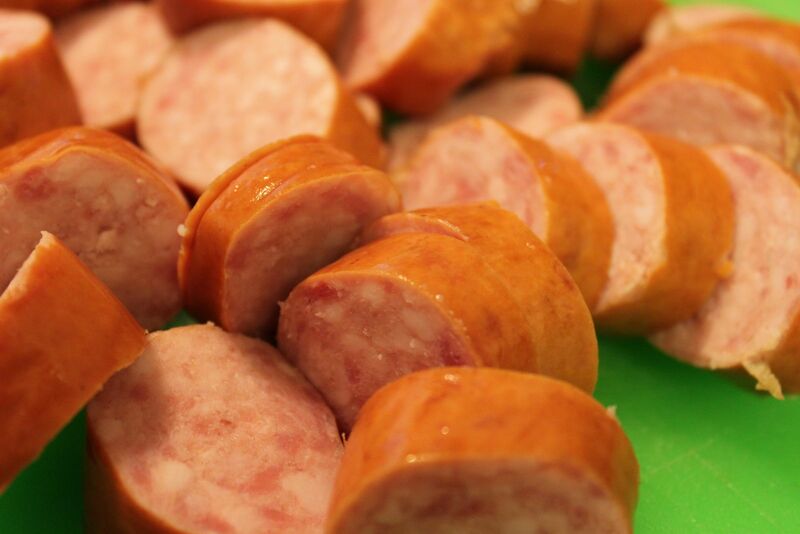 I've always said, "If you have a kielbasa, you have a meal." OK, so this is a smoked sausage that someone besides myself bought and brought into the house. I will make do. 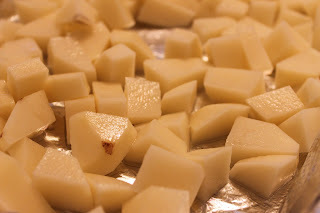 Peel the potatoes and cut into cubes. I put my peeled potatoes in a bowl of cold water to keep them from browning. They can actually sit like this overnight if you keep them in the refrigerator. 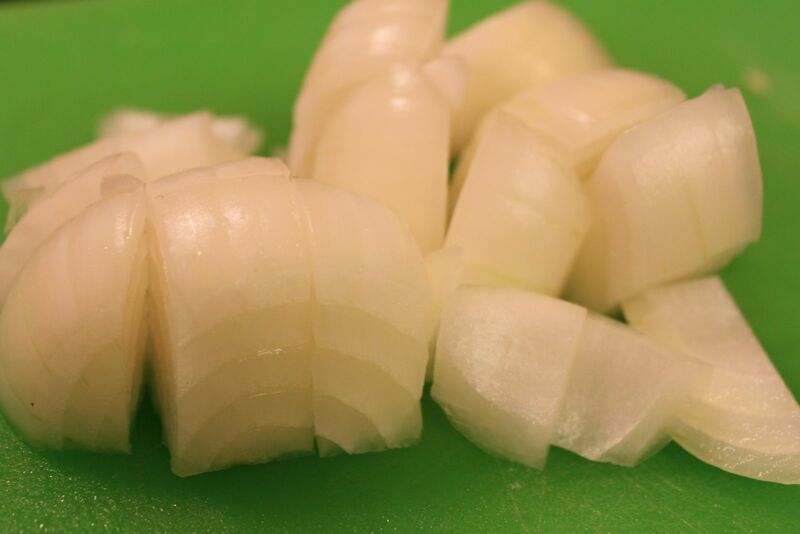 The onion needs to remain in fairly large pieces to hold up during the baking process. 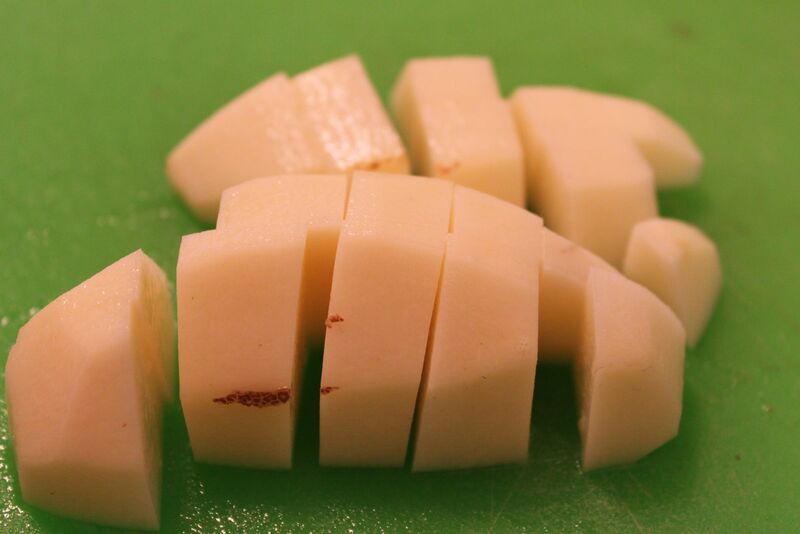 Again, you want to keep all of the ingredients the same size so they'll cook evenly. I always line my pan for easy clean-up. Potatoes go first. Thyme is on my side. Yes, it is... And, it's perfect with potatoes. But be warned, it is a fairly strong herb so use sparingly unless you know you like it. 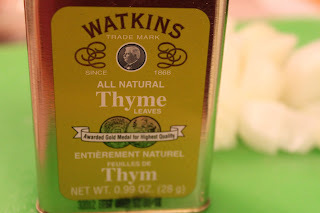 Thyme is perfect with potatoes and chicken dishes. Add the sausage, drizzle with a little olive oil, and get your hands in there to make sure that all of the seasonings are equally distributed. Bake at 350 degrees until potatoes are done. This will take about an hour. 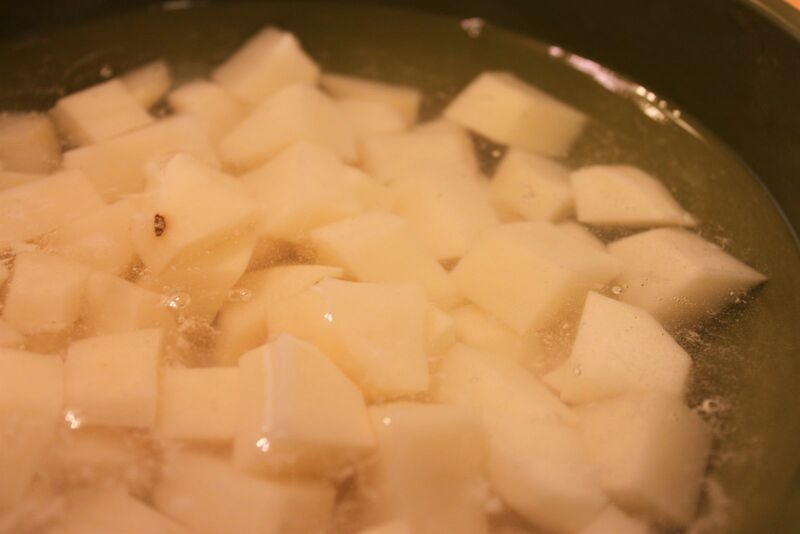 You'll want to stir often to keep the potatoes from sticking. The caramelized edges are the best part. Sometimes, simple is better! I actually make something just like this. I season with white pepper and in addition to the sausage, onions, and potatoes I add green peppers. I had it at a carry-in at work several years ago and copied it from my coworker. I'd love to add mushrooms but my husband does not like them. Bell peppers are a good idea. My husband would love the mushrooms. I'll have to throw them in next time! Thanks! I make this in a skillet with corn... We gave it the very elegant name of "Potatoes, Sausage, and Corn" but it does indeed, have onions in it as well. I'll need to try it with the mushrooms also. My husband and I both enjoy them. Single guy here. Easy, quick and filling. Figure I'll get three meals from this. I like leftovers. I'm thinking this recipe would taste fabulous with a bit of finely chopped fresh rosemary thrown in. I have added rosemary before when I have it. It was delicious! I use sweet potatoe in this recipe, they brown up and are so tasty..............no mushrooms...........great little recipe. Sound great, think i would sprinkle a little cheese on top just before it's done. I have been looking all day to try and make this into a crockpot meal. Ant ideas on cook time?? Mmmm...nom,nom,nom! And my 8 yr. old daughter, who normally won't touch onions, just went back for seconds! I'm already thinking of additional ingredients to try nexttime, thanks to the other comments above. Glad you enjoyed it, Joe. Make it your own with your favorite ingredients. OMGosh I love that pineapple and bacon sausage. Wasnt sure I would like it but it's fantastic!!! Wonder how this dish would be with some petite peas in it at the last moment. I make something very similar but on the top of the stove. It did start out as a casserole but when our oven broke down one day I threw everything in an electric frying pan and the kids loved it and have ever since. They're adults now but all I have to do is call them and say I'm making sausage and potatoes for dinner to get them to visit. 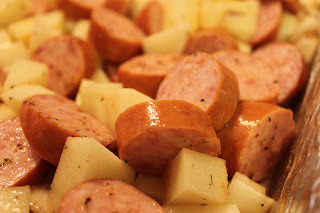 I go to a church meal on Wednesday nights and she puts kielbasa and mixed veggies and potatoes all mixed up and baked together. she said she put garlic salt, pepper, thyme, and a bit of rosemary. all I know it was so delicious!!! She cooks for about 100 folks and when she makes this dish there is rarely leftovers for the "guests" usually eat it all up. YUM! Will try it with the rosemary. I have a huge plant wintering over in my house and always looking for ways to use this tasty herb. 1/2 for us and 1/2 for sharing. Thanks. That was delicious. After it was roasted/baked I served it with corn and broccoli. A big hit. For leftovers I mixed the veg with it and put in frig. 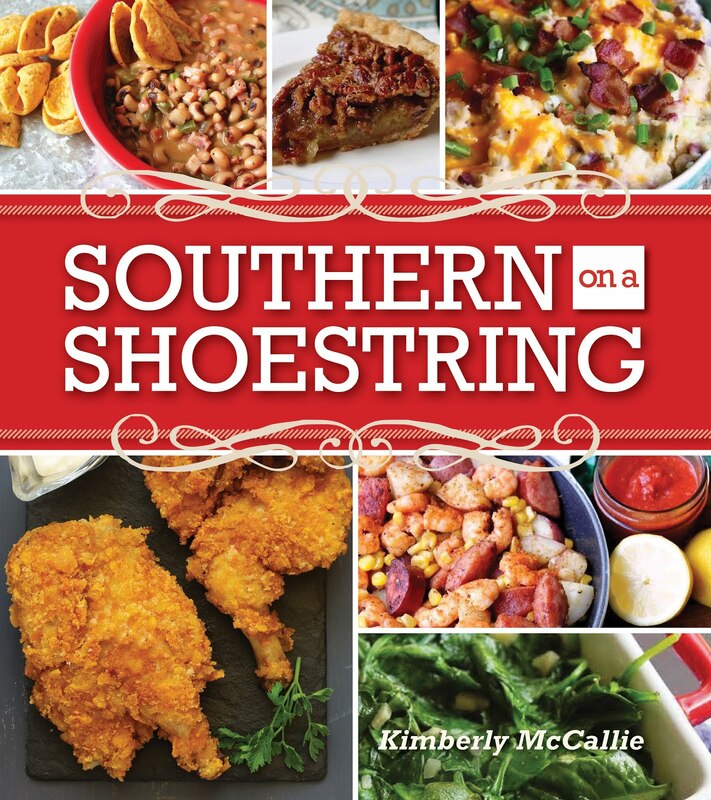 I've found this recipe made with some seasoned mustard and brown sugar in the skillet, and had been looking for that recipe when I found this one, and decided to try something between the two. I used thyme and rosemary, but a dash of mustard powder, the onion, Tastefully Simple's Garlic Garlic because I had it, salt and pepper. I used the same sausage as above cut in slightly smaller bits and frozen southern style hashbrowns. It was soooooo good! I'd love to try roasting it, but I'd already made my husband schlep the electric skilled upstairs!